Paris-Lille, February 24th 2016 – Funds advised by Motion Equity Partners (« Motion »), an independent mid-market European private equity firm, announced today that they had entered into an exclusive agreement with Azulis Capital, Gimv and their co-investors (Arkéa, BNP Développement and Croissance Nord Pas-de-Calais) to acquire Altaïr Group (the « Group »). The transaction is subject to information and consultation with the Group’s employee representatives and approval from the Competition Authority. Headquartered in Wasquehal (France), Altaïr – founded in 1946 by the Brunel brothers – is the French leader in cleaning and home care products and household insecticides distributed through specialized channels. The Group’s offering, with over 1,000 SKUs, is organized around three main leading brands: Starwax (the Group’s flagship brand accounting for over half of sales) for home care solutions (products and accessories), Sinto for repair and renovation products (mainly wood putty) and Kapo for insecticides and pest control products. Altaïr products are primarily sold in DIY chains where the Group created the home care products shelf 10 years ago, but Altaïr is also present in independent stores, in professional channels (materials wholesalers and professional hardware stores) and in garden centers and LISAs (agricultural products self-service stores) where it has expanded over recent years. Altaïr operates two production sites in Noyelles-lès-Seclin near Lille and in Aubagne, suited to produce small and medium batches. 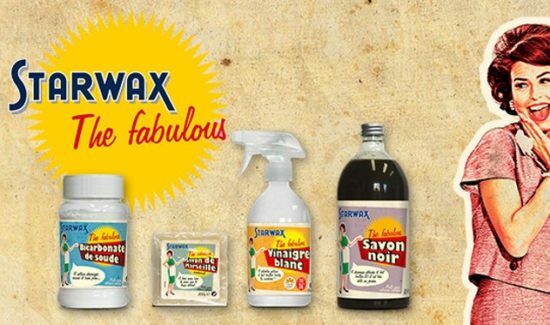 Over the past five years, Altaïr consolidated its position in France, thanks to the consecutive launch of successful new product ranges such as Starwax the Fabulous (vintage cleaning products) or its home care accessories range. The Group also successfully achieved moving its main production site from Hellemmes to Noyelles-lès-Seclin in 2014. This new site, compliant with the industry’s best safety and environmental protection standards, will support the Group’s future growth. In 2015, the Group realized a turnover of about € 70 million and employed about 260 people. Altaïr’s next development phase will involve strengthening its position in specialized distribution channels in France, taking advantage of its strong brands and of the growth initiatives set up during the past few years, and furthering its European expansion. Today, outside of France Altaïr is present in six main countries (Poland, Belgium, Italy, Spain, Romania and Russia) where it generates around 10% of its sales. In addition to accelerating its development in markets already addressed, the Group’s strategy will be to enter new geographies, to enable this expansion acquisitions will be considered. “We are delighted to bring our support to Altaïr’s Management team in this new growth phase” says Patrick Eisenchteter, Partner at Motion Equity Partners. “Altaïr owns a portfolio of renowned and respected brands, leaders in their market segments and benefiting from a genuine growth potential. The trust built with its main DIY partners is the proof of undeniable marketing and commercial know-how, essential to the company’s dynamism. It is also a great consolidation platform on which there is a strong potential for add-ons, especially abroad”. Gilles Pérony and Nicolas Cosson, Partners at Azulis Capital, on this exit : “We are very pleased with these five years of collaboration with the Altaïr Group. Against a backdrop of volatile markets, the teams were able to clearly strengthen the leadership of its brands”. Anne Caron, Partner at Gimv’s Connected Consumer platform, adds : “In five years, the Group was able to digitize its marketing and its teams, and thus come closer to its customers, who became very attached to its brands“. Jean-Pierre Dano, CEO of Altaïr, added: “Motion came out as the best suited player to support us in this new growth phase. Their significant experience in terms of external growth and international expansion should be a major asset to achieve our goals. I would also like to thank Azulis Capital, Gimv and their co-investors for their support during the previous journey”.